The giant drill hall of the Park Avenue Armory, for decades home to bustling art and antiques fairs and National Guard exercises, could hardly be more different from the Refectory of Santa Maria Delle Grazie in Milan, the dim, hushed site of Leonardo da Vinci's "Last Supper." But this month that eight-story tall, 55,000-square-foot room in Manhattan is the place to see a modern manifestation of Leonardo's famous mural: a multimedia re-creation by filmmaker Peter Greenaway. Using light, sound and theatrical illusion, Mr. Greenaway, who burst onto the avant-garde scene in 1982 with "The Draughtsman's Contract," has delivered a clone of the masterpiece within a full-scale replica of the refectory. 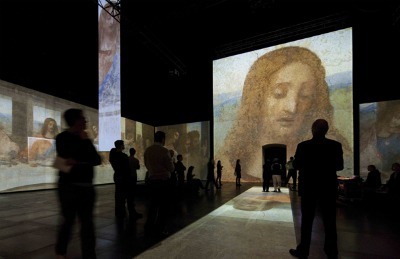 "Leonardo's Last Supper: A Vision by Peter Greenaway" is part of his effort to bring new excitement to art history's icons—the better to capture young audiences—which he launched in 2006 with a multimedia exploration of Rembrandt's "Nightwatch" at the Rijksmuseum in Amsterdam. It's also a useful metaphor for the task of Rebecca Robertson, the president and executive producer of the Park Avenue Armory, who took the job in 2006 after leading the redevelopment of Lincoln Center and the New 42nd Street. In the four years since the 1880s armory (once known as the Seventh Regiment Armory) was transferred from control by the neglectful State of New York—in 2000, the building was listed as one of the 100 most endangered historic sites by the World Monuments Fund—to a private nonprofit organization, Ms. Robertson has been remaking it as a cultural venue. But given the very full list of cultural offerings in the Big Apple, Ms. Robertson has also, like Mr. Greenaway, done some reimagining. Her vision for the armory as a 21st-century arts center is hitched to "the power of the space." It means using that unobstructed drill hall—an area she says is unavailable elsewhere in New York City—to accommodate spectacles like "Leonardo's Last Supper." And instead of following the normal practice of focusing on one or more of the performing arts or on the visual arts, "We do all of the arts equally," Ms. Robertson says. "We're in a position that there's so much out there—you just make sure it's right for the space." The armory began programming in September 2007, with a 9,216-square-foot "action" painting called "Greeting Card" by Aaron Young, for which 10 choreographed motorcycles tore up a 72-by-128-foot plywood form, painted black. They left a tangle of tire marks that had scratched through the black to reveal patches of fluorescent orange underneath. The piece was a signal, Ms. Robertson says, that "this is not a house museum." Similar offerings, like "Die Soldaten"—an epic opera in which the audience moved "through the music" —followed, if sporadically. Before a full arts program could be offered, Ms. Robertson had to supervise a $68 million renovation of the armory that included an electrical, acoustical and mechanical upgrade of the drill hall. It's an improvement Ms. Robertson can't resist showing off. Never mind that I had already read all about it, regularly visited the armory, and had had a recent tour of many of its late-19th-century period rooms. "But you haven't seen the Moose Room," she says when I arrive for our interview, leading me to a large, wood-paneled room with a desk, a sofa, chairs, books, papers and other stuff. "This is where John Kelly, one of our artists in residence, works. And he holds salons here; he shows his work, and they discuss it." At the back is her real destination—a tiny balcony overlooking the drill hall, where she enthusiastically points out the new catwalks and electrical equipment that make productions like Mr. Greenaway's possible. But this strategy, good as it may be for new art, presents a challenge. To make the armory work financially, Ms. Robertson must draw members—not necessarily season subscribers, but people who will support the armory and its arts programming across the board. Yet, as she acknowledges, most arts consumers show strong preference for a particular arts discipline or two, not the full panoply. They favor classical music or dance or visual art, perhaps dipping into others from time to time to a much lesser degree. Critics—whose reviews attract attention—are also organized by discipline. The armory is looking for a crossover audience, which has tended to be small. "I think crossover is really important if you look at the way arts are going," Ms. Robertson says. "People want multimedia." Or, she thinks, they will. The armory plans an $8 million budget for 2011, with about $2.5 million of that going toward programming, including educational programs and the artists in residence. But tickets will be "affordable," Ms. Robertson says. "The gate will grow in importance, but now our major mission is to get people in here," she adds. "Building audience and affiliation is what we are doing now." The whole plan depends on partnerships with other cultural groups, not least because the armory has no endowment and must raise its operating funds from donors. Its $116 million bank account, depleted of $68 million for the initial renovation, must also be fattened to cover the cost of the next phase of the armory's redevelopment. For that, Swiss architects Herzog & de Meuron, who have designed many museums, are working on a plan that will likely be announced next spring. Ms. Robertson declines to discuss their designs, except to say that they will include additional stabilization and restoration work on the building exterior and renovation of the period rooms. 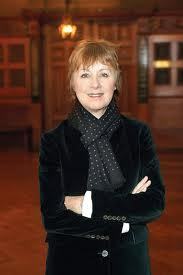 She hints that the Herzog & de Meuron plans will also surprise. Recalling the building's initial architects, who included Louis Comfort Tiffany and Stanford White, she reminds me that "They were avant-garde in their time. This has been a place of fantasy from the beginning." In theory, she says, "You should never know what you'll see" in advance. Then she tells of a video the armory has made of people coming through the doors of the drill hall, to the art on view. "They are all going 'ah,'" she says—a result she wants to replicate in the future.